The restraining order barring DeBray (Fly Benzo) Carpenter from the Cahill construction site and the stay away order barring Fly’s presence at Mendell Plaza are SFPD examples of this nation’s conspiracy to mass incarcerate and control the lives and the deaths of the young, Black and male in America. SFPD’S targeting and attempted criminalization of Fly Benzo boiled over when Fly stood up against racist employment and training practices at the Cahill construction site in Bayview Hunters Point and stood up against the police murder of Kenneth Harding. In the Cahill case, SFPD issued a restraining order barring Fly from the site. 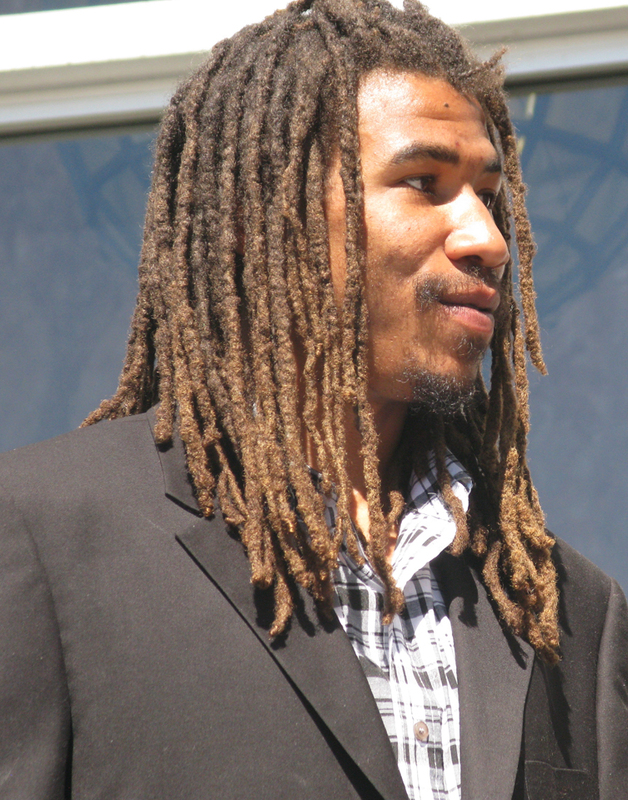 In the case of Kenneth Harding, SFPD ordered Fly kept under surveillance and videotaped. The attempted pipeline to prison for Fly continued with his unlawful arrest and conviction on false charges of resisting arrest, assault on a police officer and obstructing a police officer in the performance of his duties. Following a large turnout of community supporters at his April 20 sentencing hearing, sentencing was continued to a second date, April 27, when Fly was sentenced to three years’ probation. Probation conditions include that Fly consent to full searches of his home, car and self at any time or place, with or without probable cause or warrants, and that he “stay away” from Mendell Plaza and all of Third Street between Oakdale Avenue and Quesada. Probation is a severe penalty for standing up for one’s community rights and videotaping the police. This is what DeBray (Fly Benzo) Carpenter is fighting. It’s not his fight alone. The system of mass incarceration and control threatens, brutalizes and represses us all. Our fight is for Fly Benzo, Kenneth Harding, Kenneth Caruthers, Antoine Thomas, Oscar Grant, James Rivera, Luther Brown, Raheim Brown, Trayvon Martin and the list goes on and on and on. It’s not his fight alone. The system of mass incarceration and control threatens, brutalizes and represses us all. A victory for Fly Benzo is a victory for us all. A victory for Fly Benzo is a victory for us all. 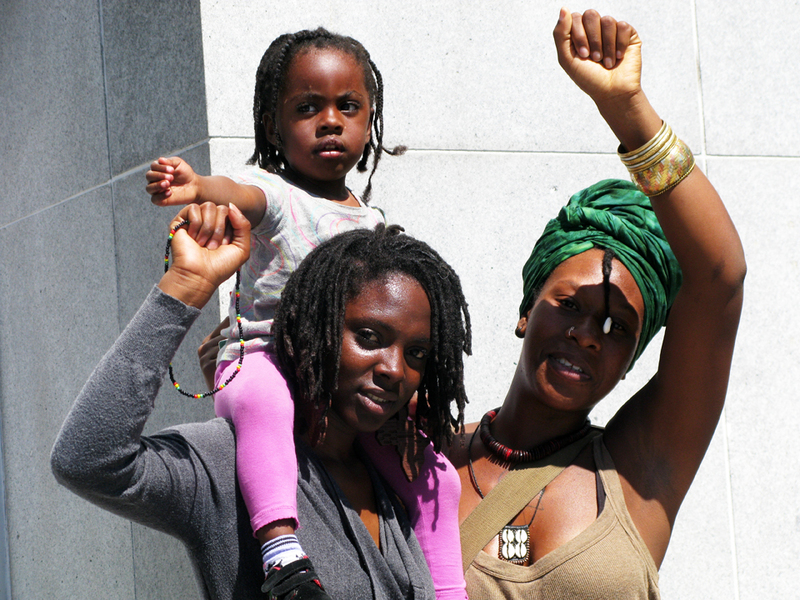 Pack the courtroom Wednesday, May 30, 1:30 p.m., at the San Francisco Superior Court, 400 McAllister St., Department 514. Occupy Fly Benzo’s courtroom for us all. Earl Black, Bay Area-based photojournalist, videographer and member of the Oscar Grant Committee, can be reached at ephilipblack@netscape.net. I’d like to share one of the problems they have with DeBray [Carpenter, aka Fly Benzo]. They [Cahill Contractors, which is joint venturing with Nibbi Brothers to rebuild Hunters View, aka West Point public housing, into a “mixed-income” housing complex for The John Stewart Co.] have a stay away order on the construction site in the West Point community, where they’re building 500 houses for the people that stay in the West Point projects, which they’re not going to be able to afford. And me and my son were on the construction site and talked to the general manager about why they’re not hiring entry level people into carpentry, and that presented a problem because it’s the beginning of skilled trades coming in. They hired people in the labor positions, but when it comes to the skilled positions, they’re supposed to be giving people that don’t have any skills opportunities to enter into the construction trades as beginners and be trained for apprenticeship programs. So we raised concerns about why they were not hiring them, and that’s when all hell broke loose, because they knew we hit the nail on the head. What we’re trying to do is build the community up because they’re not giving the people that’s in the conditions in the projects the opportunity to raise their economic standards to be able to learn skills so they could get into career type jobs so they can establish themselves. They’re supposed to be entitled to these jobs, but there’s no one standing up for their rights. So we continue speaking out on these issues, asking for payroll reports, asking for various things that show that we’re not given equal opportunity while dollars are being circulated. It’s about a $100 million project. And so me and DeBray went to the construction site talking to general manager, raising these concerns. That’s when he asked DeBray to get off the property. And I’m standing right there! They’re not asking me to get off the property; they’re asking DeBray. But the questions were directed by me. I’m the one who raised the issue about what they wasn’t doing. And the gentleman that we were talking to, whose name is Chris Parker, this is when he asked DeBray to get off the property. So me and DeBray leave the property. DeBray did not threaten him or anything else. When they told DeBray to get off the property, DeBray responded, “Well, we’re going to get YOU out of here, because this is our neighborhood.” That’s the only thing DeBray said. And then after leaving the property, Chris calls the police and files a complaint against DeBray saying DeBray threatened him. So what the police did is get a temporary restraining order against DeBray. But the very next time I saw Chris Parker, he told me that I can’t come to the property any more either, so if I wanted to talk to him I had to meet him downtown in one of the City offices downtown along with some other people, or whatever the case may be, for raising concerns on behalf of those residents out there. The problem is that we know what we’re talking about, and that’s the thing that’s causing us a problem. They don’t want anybody to tell it for what it really is in terms of how they own that property or how the property managers for the City are putting money into the property or HUD is putting money into the property – $40 million is being put into that development by the Redevelopment Agency – but yet a private developer [The John Stewart Co.] is going to own it. They are forcing low-income people out of there and they’re breaking up a large concentration of African-Americans before we can wake them up by letting them know they have rights. They have rights when it comes to jobs; they have rights when it comes to equal opportunity, which is being denied them. They are forcing low-income people out of there and they’re breaking up a large concentration of African-Americans before we can wake them up by letting them know they have rights when it comes to jobs. So this why DeBray is having such a problem. They’re trying to make an example out of DeBray, but yet DeBray is not the only activist that’s standing up. A few years prior, in that same Housing Authority area, they were remodeling them 30 years ago and we stood up for those residents. I was beat by the police. I was taken to a jury trial exactly like they’re doing to my son for being a political activist and speaking out. But the truth of the matter is we have to organize around our residents. We can’t allow what they’re doing when all of these dollars are circulating without giving these people the opportunity to upgrade their economic standards, so they can buy one of those condominiums that’s being built out there. It’s nothing like someone wants to stay on welfare. Welfare is supposed to be a temporary situation, not a permanent one, so when the opportunity for them to upgrade off of welfare presents itself, they should be given an equal chance to go off into training programs to be able to change their situation. The economics in the community – the unemployment in the community – is off the hook. There’s something like over 50 percent unemployment in that area and the majority of people that are unemployed stay in the Housing Authority projects. Unemployment in the community is off the hook – over 50 percent unemployment in that area and the majority of people that are unemployed stay in the Housing Authority projects. Not only are they going to tear those [West Point] housing projects down, they’re going to tear every project down in that community. Eight projects are going to be torn down. West Point is the first one, where building is going on now, and then it’s going to go to Alice Griffith, Oakdale, Sunnydale projects, and most likely the Potrero Hill projects. So if we don’t stand up for what’s going on in this first project, it’s going to be like a domino effect. It’s going to be billions of dollars circulating in that community in the next 15 years. What we’re trying to do is give our people an opportunity for the jobs, the training opportunities, business opportunities, the whole 9 yards, so as the dollars are circulating they will filter down into our pockets as African Americans and we can recirculate those dollars into the community. That’s what economic development is all about. DeBray’s mother owns a construction company, but we fought to get her into the trades as a first step apprentice. So it shows that we know how to make the process work when you can go in at an entry level and come out in four years as a journeyman and start your own businesses or anything else. So we have a clear example of how that works because we went through the process. The only thing is that when it comes to our young people today, we want them to have the same opportunities that we had. That’s myself, that’s DeBray’s mother when she was, I think, 18 years old when she entered her apprentice program. She was 22 years old when we started the construction company back in 1984. And [now] we also have stores, we have restaurants that are owned by us, we have janitorial services furnished by us, because this is what it takes. We’re not asking for a handout; we’re asking for a hand up. And not only are we asking, we’re demanding. So this court procedure is next Wednesday, so we have to come to court about this restraining order. We need as many people coming out in support of what is really going on in that neighborhood [as possible] so this restraining order won’t become permanent. Claude Carpenter, a retired contractor and lifelong economic development advocate who emerged as a community leader when he served as the youngest member of the Joint Housing Committee working with Model Cities in the ‘70s, was the first president of the African American Contractors of San Francisco in the ‘90s and continues today to fight alongside his son, DeBray Carpenter, aka Fly Benzo, for economic equity. He can be reached at lilangeltc139@yahoo.com. We’ve been mulling over how to respond to a letter dated June 18  from the giant law firm known as MoFo, Morrison Foerster, www.mofo.com, boasting “one thousand lawyers worldwide.” MoFo claims that “Selling off the City,” a front page story in the May 16 Bay View, “defames my clients,” The John Stewart Co. and its chairman, John Stewart, and demands the retraction of five statements in the story. Under the state law MoFo cites, John Stewart may be planning to sue us for libel. The first statement MoFo objects to, “They were, in fact, barred from ever managing HUD-funded housing again,” deserves clarification. It was Marie Harrison’s recollections of life at Geneva Towers under John Stewart’s management that were being reported in that part of the story. She says she vividly remembers a debarment when the buildings failed inspection after inspection but that it may have been John Stewart personally and not The John Stewart Co. that was debarred. Stewart vehemently denies that either was ever debarred. Others who lived at the Towers or supported the tenants have similar recollections. Larry Bush of HUD was unable to confirm or deny whether Stewart or his company had been debarred after checking the “Debarment” section of the HUD website, saying the records don’t go back to the years of struggle at Geneva Towers in the early ‘90s. She was later led through the dark and muddy basement to see “‘the man in charge,’” the escorting guards stopping in the parking lot to signal to men above not to shoot. “Five or six men in business suits stood waiting, she said, glaring at her with their arms folded.” Louise Vaughn, president of the Geneva Towers Tenants Association, soon arrived, saying, “‘You have no right to detain her. She came to see me.’ Ms. Vaughn took her guest by the hand. “As the two women walked through the complex together, Ms. Vaughn pointed out the poorly lit parking lots, the heavy doors with broken locks and the many areas where a person could be trapped and not be heard calling for help. Although Mr. Stewart described Ms. Vaughn as being ‘at odds with other tenant groups out there,’ Ms. Gurevich observed a cordial relationship among the tenants as she walked through Geneva Towers with Ms. Vaughn. However, she said, she did not once see a friendly word exchanged between the management company’s guards or agents and the residents. “Since HUD purchased the 576-unit complex last summer, Geneva Towers has remained federal property. Before seizing the complex, HUD gave the previous owner seven months to make repairs. According to newspaper accounts at the time, the owner, despite receiving $200,000 a month in HUD rent subsidies, failed to repair broken sewage lines, inoperative elevators and unsafe kitchens. After eight months under HUD ownership, those conditions have still not been corrected, according to tenants. That reminds me of a meeting at Geneva Towers a year or two later, when tensions between Stewart and the tenants had reached a fever pitch – both the temperature and tempers in the tightly packed room blazing hot. John Stewart sidled over to my wife Mary, apparently hoping to recruit even one person to his side, and, as she recalled in our May 16 story this year, whispered in her ear, “I have 35,000 Black people under my control in San Francisco.” What sort of person “controls” 35,000 other people? With the clarification noted above, we stand by our May 16 story, including the other four statements MoFo says Stewart objects to. We do not agree that either of these statements is false or misleading: “What they say they do is redevelop for the poor, but what they actually do is take the land, displace the people and flip the project into mixed-income market rate housing.” Thousands of low-income public and subsidized housing tenants have been swept out of San Francisco by mixed-income redevelopment scams. What they say they do is redevelop for the poor, but what they actually do is take the land, displace the people and flip the project into mixed-income market rate housing. 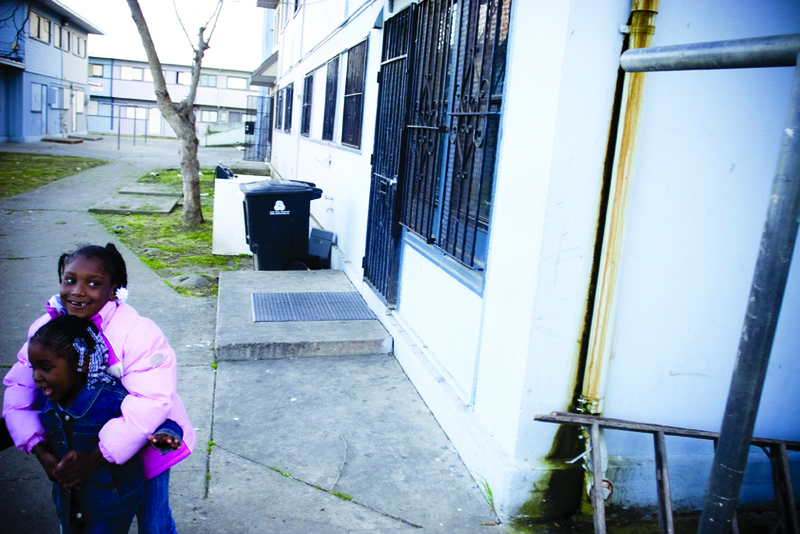 Thousands of low-income public and subsidized housing tenants have been swept out of San Francisco by mixed-income redevelopment scams. The third statement Stewart disputes is a quotation by James Tracy, a former organizer with the Eviction Defense Network, recalling the redevelopment of North Beach public housing: “The development team (not just John Stewart) tried to negotiate a provision where any extremely low-income unit could be converted to a higher income ‘affordable’ unit if vacated for any reason. This would have resulted in the supply of available ELI units shrinking over time.” MoFo misquotes the beginning of this passage. Like the James Tracy quotation, the fourth and fifth statements MoFo demands that we retract are direct quotes. The May 16 story, “Selling off the City,” was written by Olivia Colt of POOR Magazine, and in the fourth and fifth statements she is quoting two of her colleagues at POOR, Vivien Hain and Laure McElroy, who applied for housing controlled by The John Stewart Co. I’m amazed that MoFo challenges these statements in hair-splitting comparisons with Stewart Co. records that applicants would expect to be confidential. The MoFo letter’s punch line comes at the beginning of the final paragraph: “The allegations in this article are particularly damaging given my clients’ interest in the revitalization of Hunters View,” the public housing development known as West Point that overlooks the old PG&E plant that poisoned the residents for decades. They fought it to the death – the overdue death of the plant and the untimely and tragic deaths of many tenants. The MoFo letter’s punch line: “The allegations in this article are particularly damaging given my clients’ interest in the revitalization of Hunters View.” Stewart covets the land (public housing tenants) live on, eager to replace them with wealthier folk under cover of another mixed-income scam. Now Stewart covets the land they live on, eager to replace them with wealthier folk under cover of another mixed-income scam. 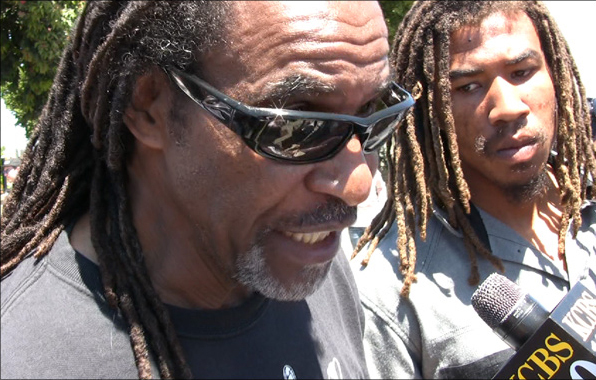 These residents, victorious veterans of the epic PG&E battle, will stop Stewart too. And we back them all the way. Hunters Point needs to determine its own destiny, to enable its own people and businesses to rebuild and renovate. 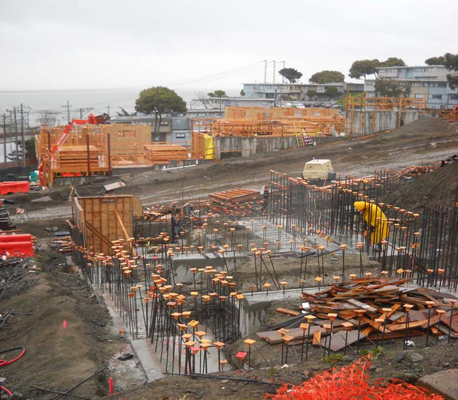 Hunters Point needs no help from The John Stewart Co., AIMCO or Lennar. We can do the work ourselves. “The New Jim Crow; Mass Incarceration in the Age of Color Blindness"
Your stance is powerful, courageous and inspiring! the community ,the goal is tocreate a leasdership vacuum. This never comes to fruition, the community has thousands of leader ready to pck up the banner and carry the torch. They cannot stop any social movement based in justice for all.They have tried to sabbotage teh newspaper "SFBayview" – to no avail ,these cultural pigs will never win history is on our side. Justice shall prevail,lets wake uyp and smell reality . I feel for Fly, because as the sole whistle-blower of the Non-Profit Cooperative in Diamond Heights called Glenridge, that is collectively owned by the tenants, but is also “managed” by JSCo, I now find myself at the center of their determination to evict me from my home of over 40 years. I’ve held the Property Manager, Ms. Goodie, accountable for a number of misdeeds, but the most glaring one is the fact that it was while under her watch over the last 12 plus years under 2 management companies (John Stewart for the last 4 years) that Glenridge Apartments Cooperative has fallen so badly into dis-repair that we may be forced to go back into debt by the millions and thereby bringing us closer to going back under HUD rule if we fail any more inspections, etc and they see an opportunity to buy us out and take control of the $50-60 million dollar property. It sure looks like that is what they are planning, along with the help of a Mr. Fred Butler who is now “by default” President of the Board of Directors again, even though our election rules clearly state that you must reside here at Glenridge in order to qualify. Yet EVERYONE knows he does not live here, he sublets his unit and has for close to 20 years. When I called him out on that at a Board meeting, and for refusing to allow me to get a report that I am legally entitled to, I told him he was an illegitimate Board member and s/b disqualified. He ranted and raved about how I was crazy, etc…but he knows the truth – so much so he has now seeked JSCO’s lawyers on me and filed an invalid eviction notice on me 2 weeks ago. I responded and they didn’t re-file..yet. But it’s only a matter of time before they try their underhanded tricks and harassment against me again. I caught them doing an illegal check writing scam to boost the Gross Monthly Rcpts that they base their so-called management fee on. They ended up returning over $2800.00 to our general fund for overcharged fees. And ever since they found a way to get me off the Board for now…they’ve defamed me to the shareholders, and just lately filed that wrongful detainer summons against me which was wrong and invalid from the start, and they knew that! So yeah, I feel for you Fly. And wish I could find the right lawyer to take my case to Superior Court against JSCO, the President of the Board and the PropertyManager and sue for harassment and going against the Boards vote when they filed the summons…If anyone knows a decent lawyer who would like the challenge of facing off against The John Stewart Company please contact me ASAP at ufotrekker on att dot net, or yahoo dot you know what… I could use a good advice corner right about now.